Railroad Risk Management, Inc. and its general counsel James B. McCloskey are pleased to offer short line and regional railroads a complete grade crossing safety program. RRMI railroad grade crossing safety programs, sets "benchmarks" for those programs, recommends changes where appropriate, works with the client to further refine an ongoing grade crossing safety program including crossing safety evaluation and improvement; state regulatory agency relations; acquisition of state and/or federal funding for grade crossing safety enhancements; grade crossing elimination; and Operation Lifesaver. RRMI will assist in the development of corporate records documenting grade crossing and trespasser safety efforts including the establishment of computerized record and monitoring systems for FRA Grade Crossing Inventory reporting and grade crossing collision monitoring and reporting. RRMI has access to FRA's up-to-date Grade Crossing Inventory and maintains a grade crossing accident/incident database of all incidents reported to FRA since 1975. Jim McCloskey has over thirty years experience in railroad litigation and extensive involvement in all phases of highway-rail grade crossing safety including administrative practice, civil litigation. Operation Lifesaver management, establishment and administration of Norfolk Southern’s present grade crossing and trespasser safety program. 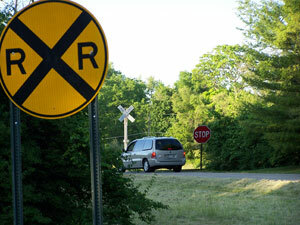 He is a member of Transportation Research Board Committee A3A05 - Railroad Highway Grade Crossings.